Bjarke Ingels Group (BIG) has released a teaser video for Hyperloop One—the high-speed transportation system pioneered by Elon Musk, who is seeking to revolutionize modern transit. The plan is to shoot freight and passenger pods through a pressurized tube at speeds of more than 700 miles per hour using a zero-emission electric propulsion system, which, according to Rolling Stone, could result in a travel time of about 30 minutes from Los Angeles to San Francisco. The video reveals the first hyperloop links in the United Arab Emirates (UAE) and features Jakob Lange, BIG partner and director of BIG Ideas, the experimental incubator that creates prototypes and products for their portfolio projects. (See our interview with Lange). 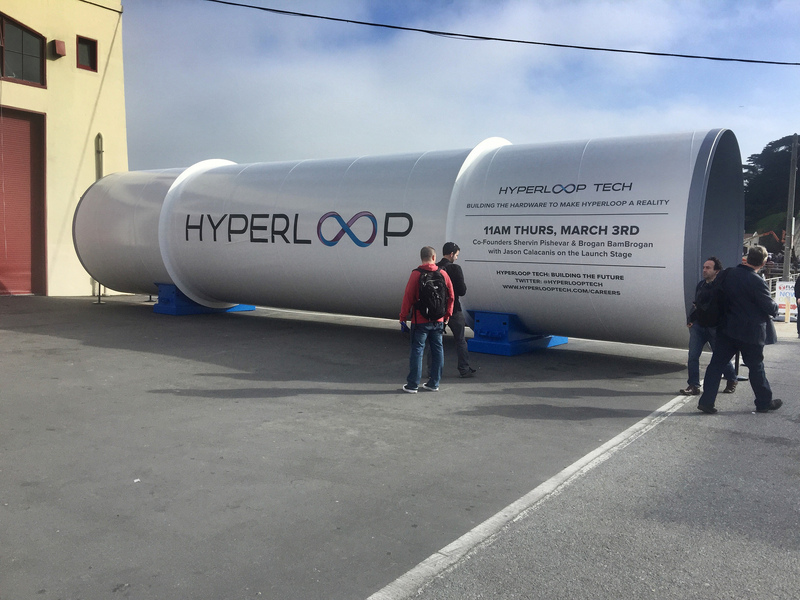 BIG Ideas is responsible for helping envision the Hyperloop and designing adaptability into its initial pods and pressurized tubes. Hyperloop One announced that Bjarke Ingels Group would join them as an architectural partner in the same week as it passed its first, open-air test of their electric propulsion technology in the Mojave Desert back in May 2016 (that test reached speeds of 116 miles per hour). Engineering firms AECOM and Arup have also been named as partners to realize the advanced technology as infrastructure. The video above reveals planned Hyperloop connections between Abu Dhabi Airport and Dubai Airport, among other locations in the UAE. The company recently raised another $50 million needed to complete another prototype, bringing its total funding for research and development to $160 million. The company also named Brent Callinicos as its chief financial advisor to guide its funding needs. Callinicos joins Hyperloop after working as a treasurer at Google, and most recently as Uber’s chief financial officer.